If your schedule is fully packed you probably won’t refuse some help around the house. We are a well-respected cleaning company in Whitechapel specialising in domestic cleaning. 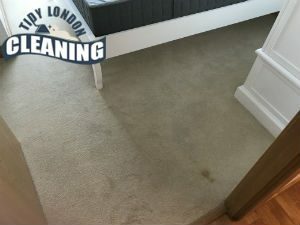 Our qualified cleaners are at your disposal all week round. Give us a call and we will dispatch a team to your address right away. Working with is easy and convenient. We are reliable, flexible and your satisfaction is our priority. You can count on us for one-off sessions and regular house maintenance. The cleaning crew will visit you as often as you wish, giving you peace of mind and extra free time. Give us a call and we will discuss your requirements. We believe that understanding that every client has their unique needs is the first step of building lasting relationships. Customers are always encouraged to share their point of view regarding the cleaning process. Our responsive cleaners wouldn’t hesitate to change their way of working. We are certain that you will find their performance fantastic. There are many reasons for our tremendous success in the cleaning business, yet, without the hard work of our dedicated cleaners, we wouldn’t win the trust of the citizens of Whitechapel. 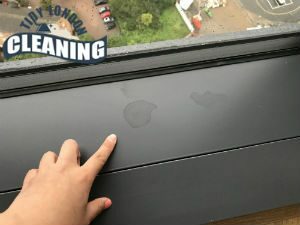 Being properly trained and armed with the necessary cleaning arsenal, they are able to deal with all types of housework and eliminate every persistent trace of dirt. Once in your home, they will take all must perform domestic chores plus any additional ones that you desire. Work with us and you will see that we make a reliable partner. Our domestic cleaning is always delivered with professionalism and attention. We know that you expect nothing but scrupulous cleanliness and won’t let you down. In return for your money, you will receive personal attention, peace of mind and the most important, more free time to do the things you love. Whitechapel is a part of the London Borough of Tower Hamlets. It is stationed east of Aldgate. Due to the founding of the church St Mary Matfelon in the 13th century it became well-known as ‘alba capella’, also known as the white chapel. In the 15th century, series of industrialization processes began. Construction trades such as brick, tile-making, lime-burning and woodworking would become a common sight in the parish. As it continued to develop, new industries came to rise- clothing, brewing, engineering and sugar refining. During the 19th century the number of houses increased rapidly while the industries started losing over to the foreign competition. One of the reasons for the population of the area to increase is the influx of Ashkenazi Jews. In was in this very area that the Great Clock of Westminster, also known as Big Ben was cast. The final cast of the foundry was on 22 March of 2017 before it shut down. Are you sick and tired of the never-ending cleaning chores around your home? If so, turn to our company for an additional assistance. We are professional cleaning and we offer you to book our amazing domestic cleaning service at an economical price. Our cleaning services are fairly priced and will not cause you any financial inconveniences. If your home is located anywhere in Whitechapel, give us a call and we will lend you the helping hand you have been reaching for. We are all true professionals and we are sure that you would find our domestic cleaning very beneficial.